'Whatever It Takes': Government Workers Apply For Unemployment As Shutdown Drags On Workers are now missing paychecks for the first time since the partial government shutdown began. That's causing many of them to do what once seemed unthinkable — apply for unemployment. 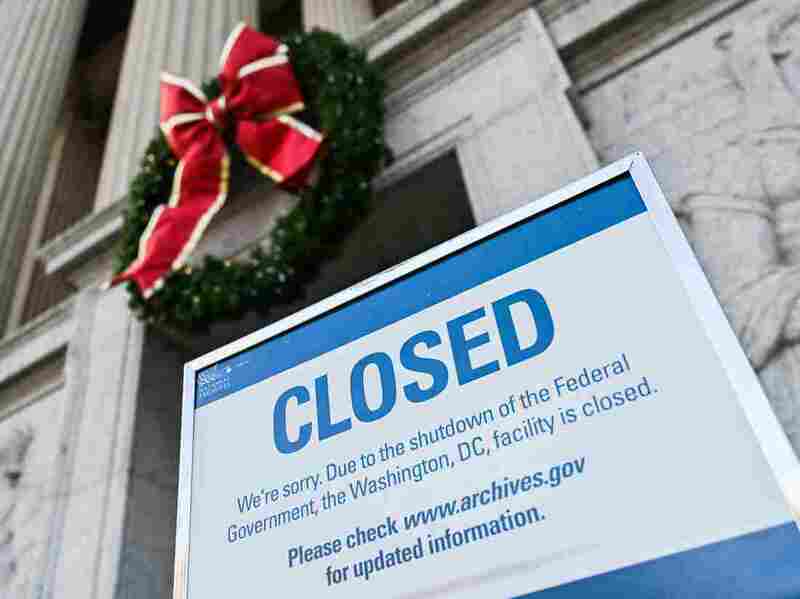 A sign outside the National Archives in Washington, D.C. informs visitors on Dec. 22, 2018 that the building is closed due to the ongoing government shutdown. Long-time federal contractor John Woodson arrived at an unemployment office in Washington, D.C. early Thursday morning. Ordinarily, Woodson would be receiving a paycheck, but because of the partial government shutdown, Woodson spent his day filing an unemployment claim instead. "We should still be at work right now," said Woodson. "Politicians should handle this — don't put this on the citizens. You're hurting us." Even if Woodson can get unemployment, which pays up to $425 a week in D.C., he says it won't be enough to care for his family. "I might have to wash some cars, go back detailing or wash some windows — whatever it takes to put some food on the table," said Woodson. Federal contractor John Woodson says he's willing to wash cars to put food on the table as the government shutdown shows no end in sight. Federal workers and contractors are now missing paychecks for the first time since the partial government shutdown began on December 22. That's causing some of these workers to do what once seemed unthinkable — apply for unemployment. 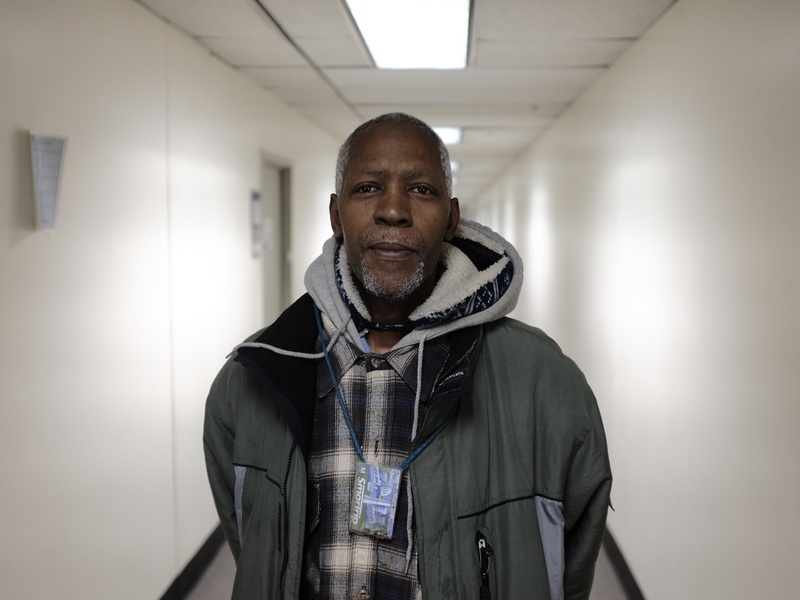 "The reason that I chose a public sector job was the stability of the whole thing," said Steve, a federal employee who also showed up to a D.C. unemployment office. He didn't want to use his full name for fear of repercussions. Steve said he left a higher-paying job in the private sector to work for the government. A big selling point in deciding to accept the new job was a shared sense of mission. "The real benefit was a job that I felt appreciated at — a job that had stability," said Steve. "And right now, I feel unappreciated and unstable," he said. Officials in D.C. and Maryland say at least 7,000 unemployment claims have been filed by federal government workers and contractors since the shutdown began. They expect that number to rise sharply if the shutdown, now the longest in U.S. history, drags on. In all, some 800,000 employees have been affected by the shutdown. An estimated 420,000 are working without pay, according to the Senate Appropriations Committee. Another 380,000 are at home on furlough. At a rally for federal workers and their supporters in Silver Spring, Md., on Wednesday, some federal workers said they had no choice but to consider applying for unemployment benefits. "This is the first time in my working life I am going to have to go to my creditors and say 'I don't know how to pay you.' And it's embarrassing," said Michelle, a long-time federal employee who didn't want to give her full name because she's worried about potential repercussions. Michelle wiped away tears as she talked with a group of women about how to apply for unemployment. She never expected to be in this position. "I show up to work. I do a good job. I'm doing everything a responsible adult is supposed to do," said Michelle. "All of a sudden, it's all blown up and I don't know what else to do." According to the federal government, the shutdown will cost at least $50 million a day in lost wages and productivity. But there are hidden costs, too, that go beyond money, said Randy Erwin, president of the National Federation of Federal Employees. "Who in [the] world is going to want to work for the federal government when [workers] are disrespected ... when people are not able to fill prescriptions, bouncing checks [and] ruining their credit?" said Erwin, whose union represents 100,000 federal workers. The details surrounding who is — and isn't — eligible for unemployment can get complicated. Federal employees who've been furloughed can apply for unemployment benefits; workers who've been deemed "essential" and are working without pay are not eligible for unemployment. And federal employees who do receive unemployment benefits will have to reimburse the government if Congress votes to give employees backpay — which typically happens when the government re-opens. Federal contractors don't get backpay from the government. The U.S. Office of Personnel Management has issued guidance for furloughed workers on what to do during a shutdown — including how to write to creditors and mortgage companies. On Friday, President Trump said he would sign a bill passed by both the House and the Senate to give back pay to federal workers affected by the shutdown.